Niagara Falls, NY - Crew members that served on the USS Fremont and family were thrilled by a cake welcoming them to Niagara Falls and sporting a photo of the ship on it. 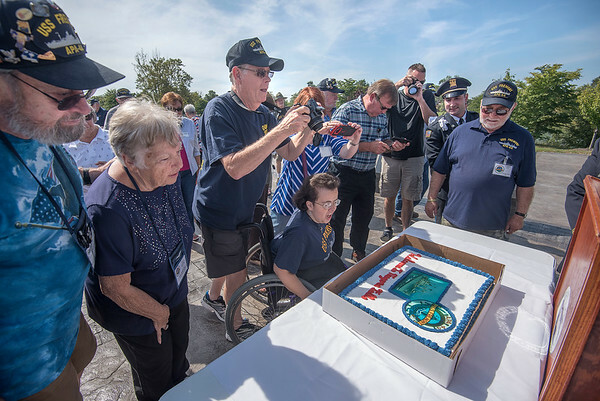 The cake and a welcoming ceremony were presented by members of the Niagara Falls Veterans Memorial Commission. Also attending were the Niagara Falls Police honor guard presenting colors and a welcoming speech by the Niagara Falls Police Superintendent.